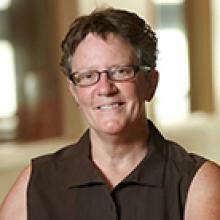 Professor Whitney joined the Lawyering Process faculty at the law school in 1999 after having taught legal writing as an adjunct faculty member at her alma mater, William Mitchell College of Law in St. Paul, Minnesota, since 1990. After earning her J.D. degree, Professor Whitney clerked for the Minnesota Supreme Court and then served as an Assistant Attorney General in Minnesota. From 1990 till 1999, she served as the Director of Policy and Legal Services for the Minnesota Department of Corrections. Professor Whitney assumed responsibility for the externship program in 2012-2013, after teaching in the Lawyering Process Program since 1999. She now supervises externs and teaches the externship seminar and manages the externship program. Professor Whitney has taught both first year LP courses, Legal Drafting, Fundamentals for Practice, Advanced Advocacy- Legislative Policy, Professional Responsibility, and Community Law courses, including Legal Education and Assistance to Prisoners (LEAP).